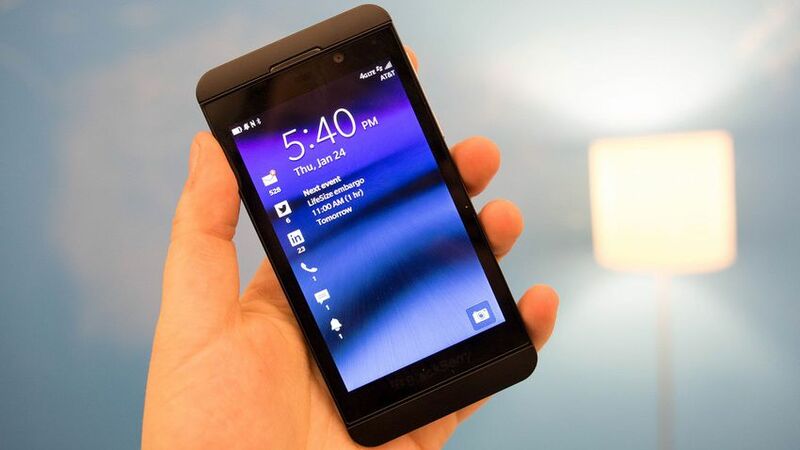 The BlackBerry Z10 smartphone is now officially available on AT&T. The struggling manufacturer — which is hopeful its new flagship device will ignite a company resurgence — announced on Friday the Z10 can finally be activated on AT&T. It costs $199 with a two-year contract. BlackBerry, formerly known as Research In Motion (RIM), also sent a tweet at midnight ET announcing Best Buy will start selling the device on Friday for $199 with a two-year contract. 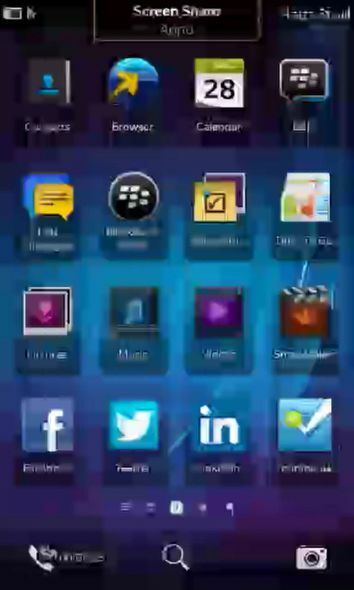 “3, 2, 1…#BlackBerry10! US: purchase your new #BlackBerryZ10 RIGHT NOW at @BestBuy_Deals: http://blck.by/WWV28L,&#8221; the company tweeted. 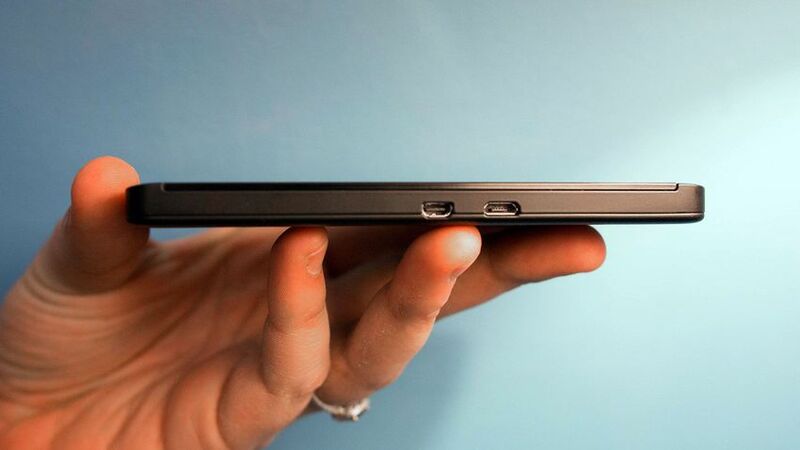 BlackBerry initially said the device will debut in late March. It’s rumored to also come to T-Mobile in the following weeks and then to Verizon Wireless in April. 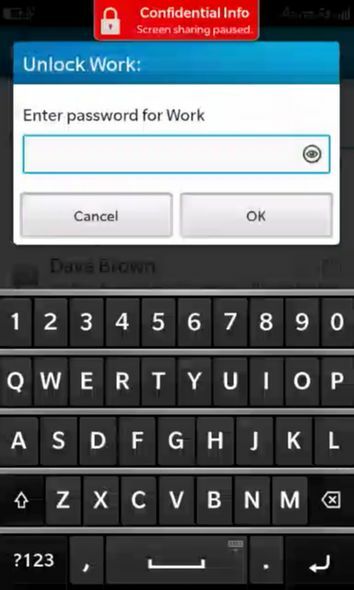 Sprint will not carry the Z10, but it will offer BlackBerry’s Q10 (a BlackBerry 10 device with a QWERTY keyboard) sometime this year. 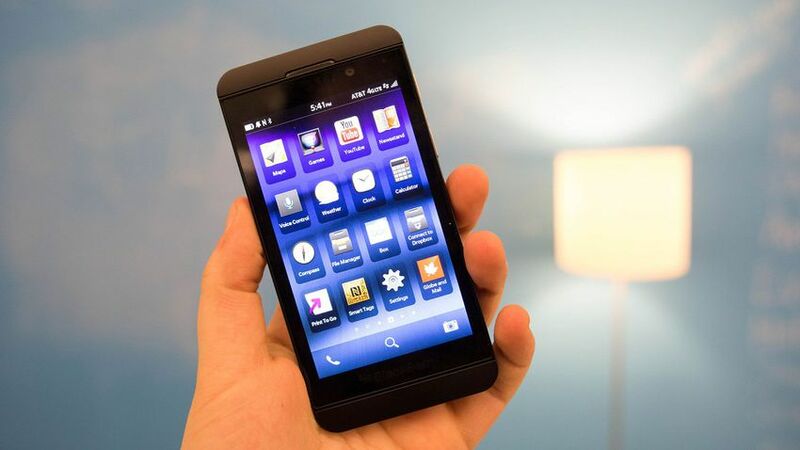 The BlackBerry Z10 features a 4.2-inch display (1280 x 768 resolution), an 8-megapixel camera and a dual-core 1.5GHz Snapdragon S4 processor. 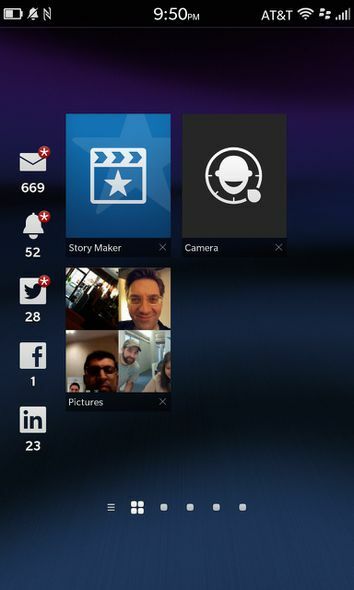 The Z10 is the first BlackBerry 10 smartphone. It doesn’t work like most other smartphones (notice there’s no home button), so it has a fairly steep learning curve for anyone used to iOS or Android. 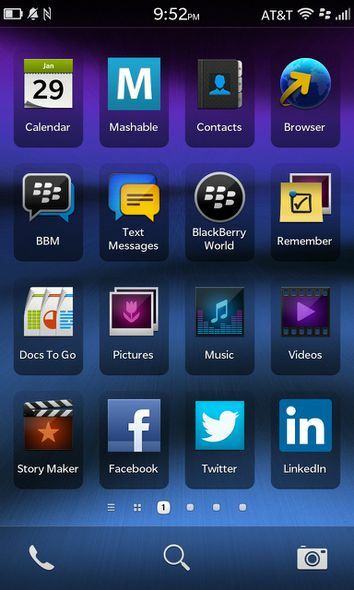 However, it’s also a powerful organizer and has much friendlier feel than previous BlackBerry phones. RIM expects the Z10 to be available on all four of the major U.S. carriers for $199 (with contract). 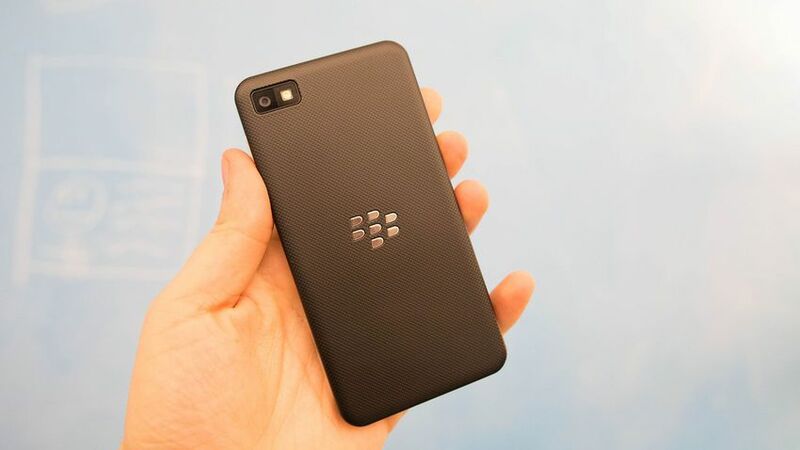 The back of the Z10 is what rim calls “soft touch,” a slightly rubberized material that bestows a firm grip. 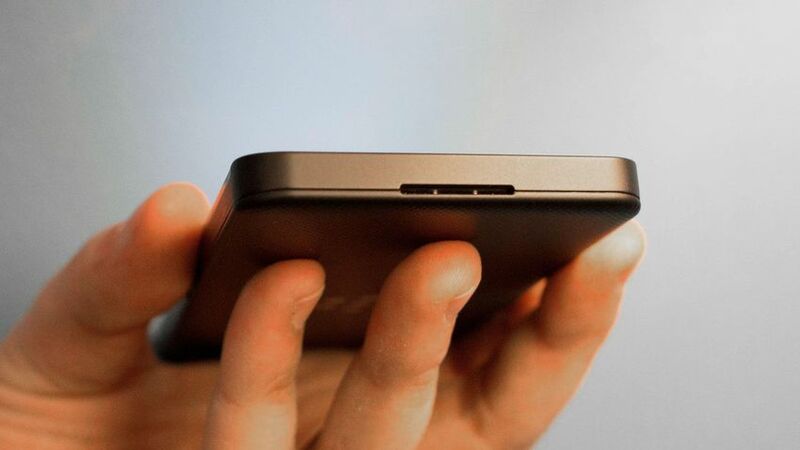 It’s also removable, letting the user swap out a new SIM, a microSD card or a spare battery. 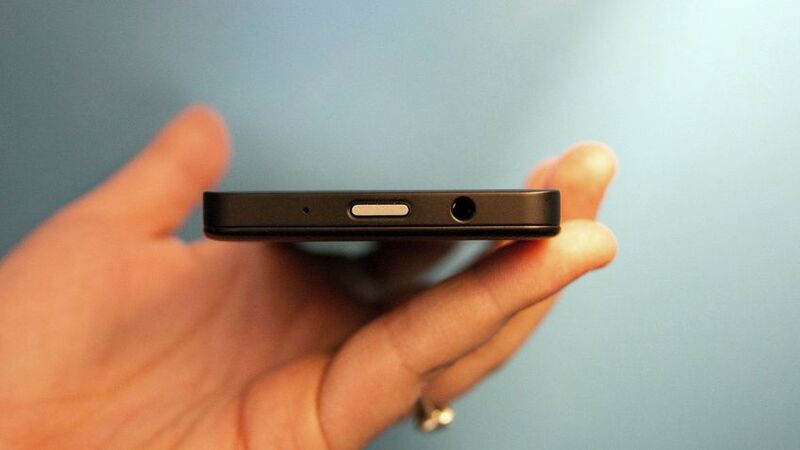 Here’s the power/sleep button and the headphone jack, as well as a small microphone port. 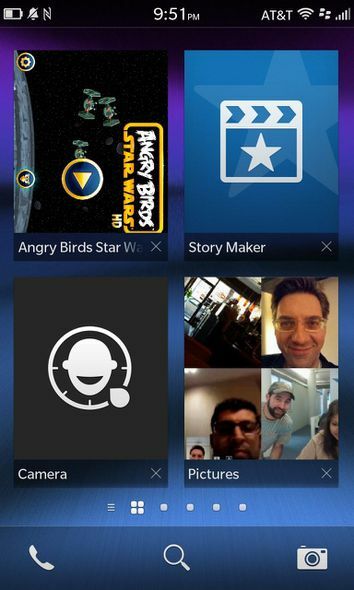 You swipe app to minimize any apps running, and they appear here. They’re still running (or paused when appropriate — say, a game) you can resume where you left off anytime. 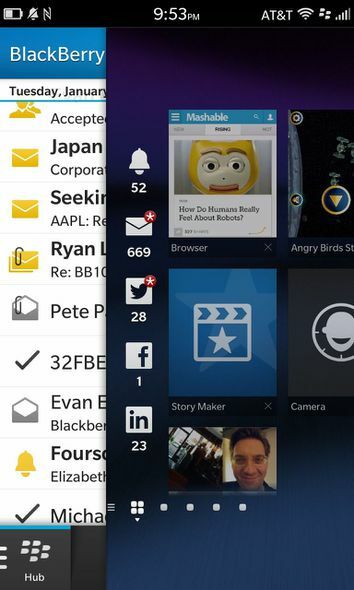 Up to eight apps can run in minimized state at any given time. 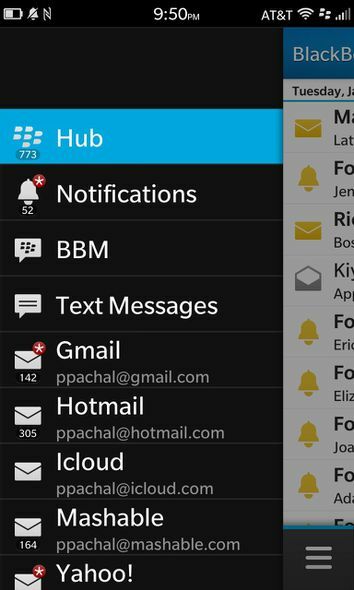 BlackBerry 10’s Hub is where all your email, text messages, BBM messages and social-network notifications reside. 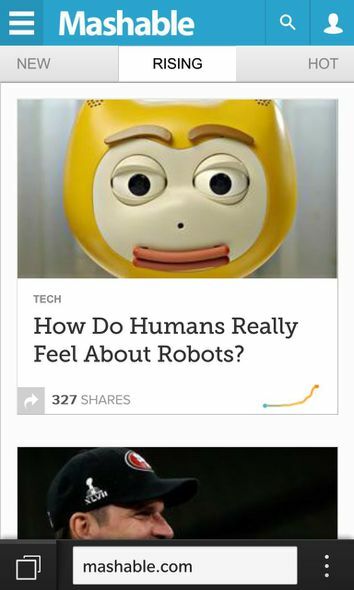 You can change the view to display just one account, or a mix. 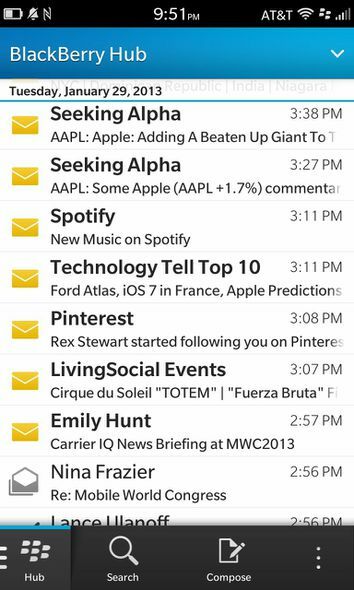 Swiping down from the top shows your coming calendar appointments. Sweep right to “peek” at the Hub. The screen tracks your finger movements precisely. The Z10’s camera has a Time Shift mode, which lets you turn back the clock on any particular person’s facial expression by a second or two, letting you perfect that shot where someone blinked. 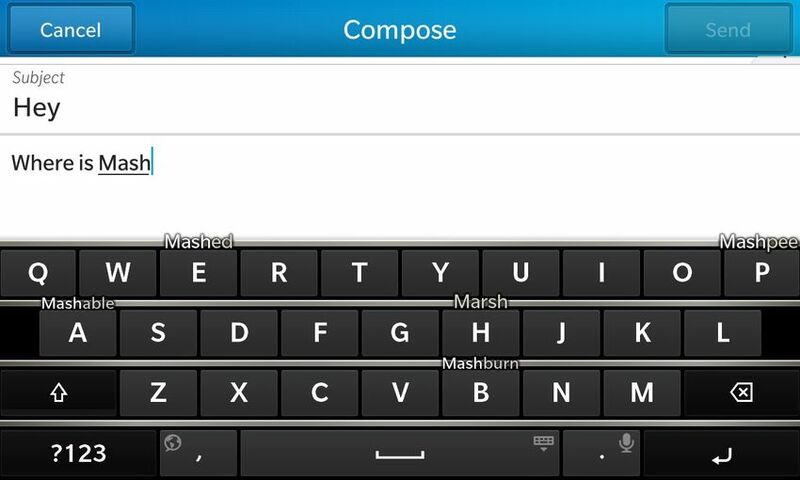 RIM’s popular BlackBerry Messenger has gotten an upgrade for BB10. 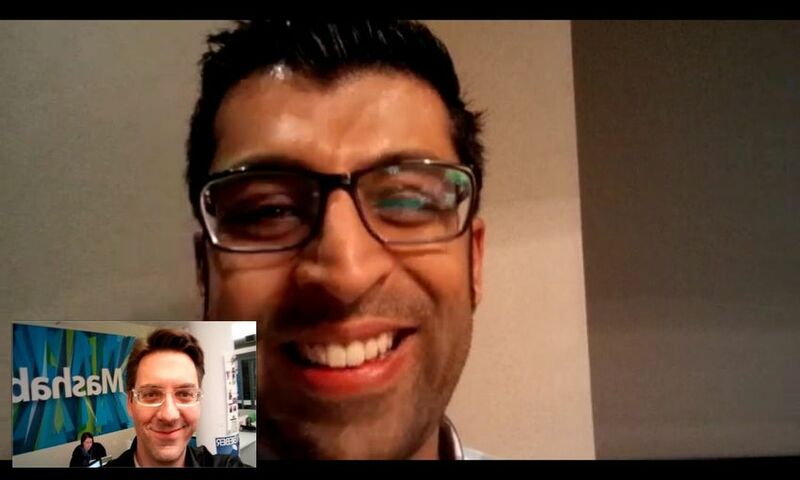 You can now do video chats with BBM, similar to Apple’s FaceTime or Skype. It works best on Wi-Fi or LTE. 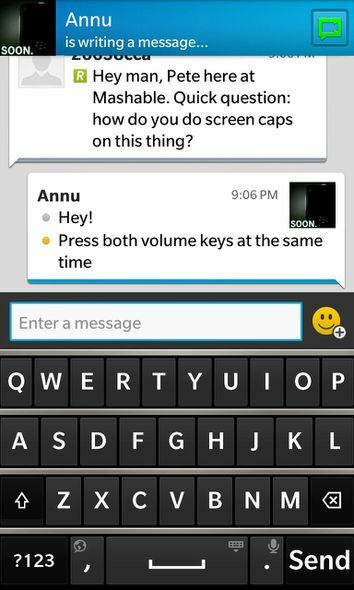 A useful tool that goes with BBM video chats is Screen Share. Just tap the icon and you’ll share what you’re looking at with your chat partner. The screen will appear a little fuzzy, though. BlackBerry Balance lets will partition your Z10 for both work and personal use. 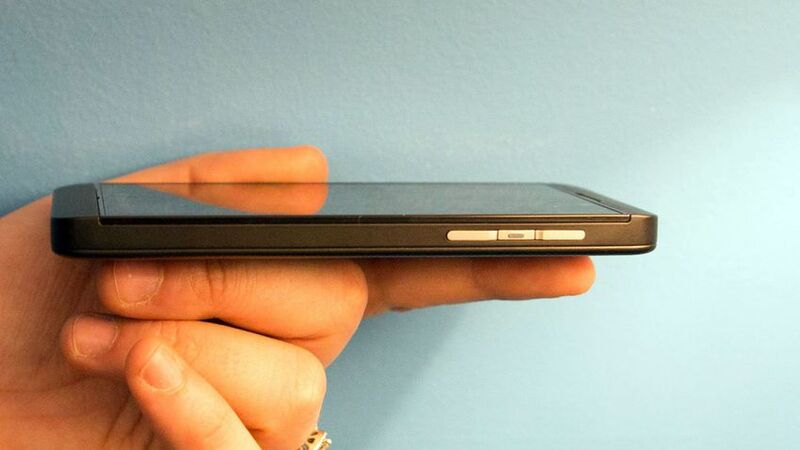 It’s something your company would do if you decided to use the Z10 as a work phone, and RIM says’ it’s physically impossible for the two sides to share data (such as photos). However, the device still has one phone number, and your notifications are united. The BB10 webkit browser is pretty bare-bones, but it makes the nice choice of putting the URL bar at the bottom of the screen — handy for thumbs. 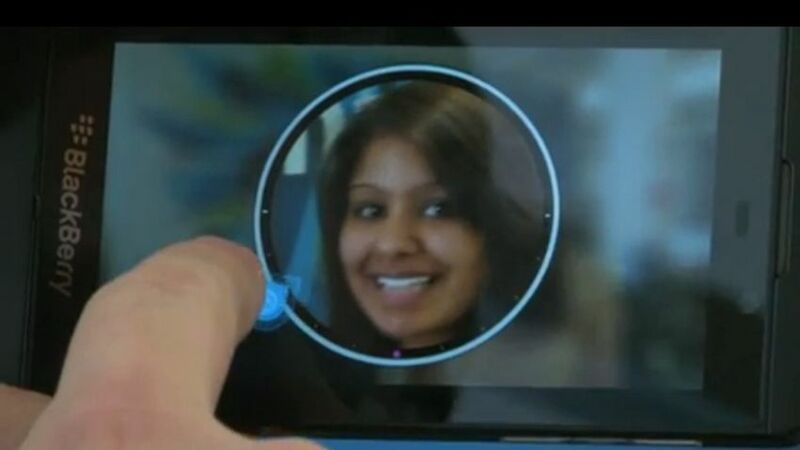 The BlackBerry Z10 Launches Today – Does it Matter? Tags: AT&T, BlackBerry, BlackBerry Z10, MOBILE, TECH. Bookmark the permalink.